(L1158) A Home in the Reich Party Membership Badge by the maker G.u.W.O, a company I have not encountered before. 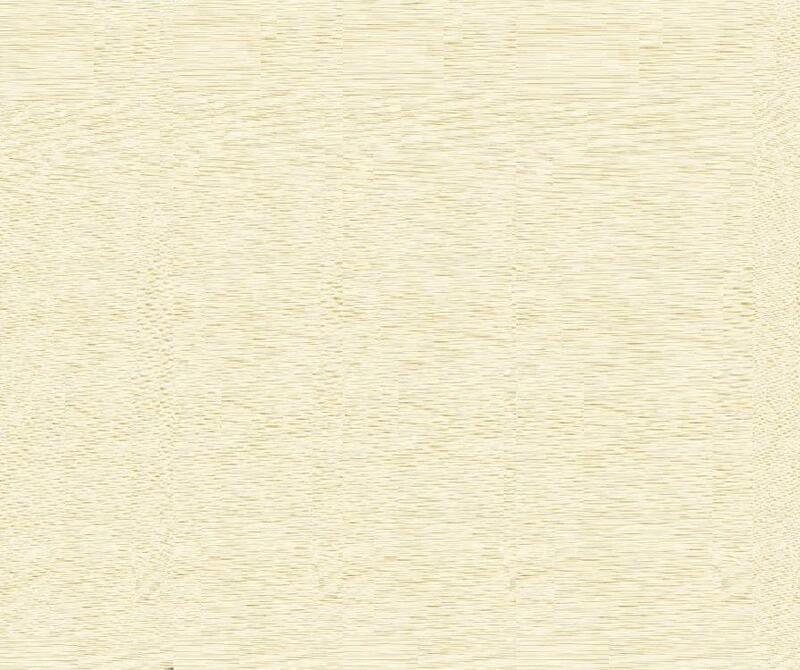 The badge is of nice quality and construction although shows minor wear and tear, which is to be expected. Given to people from the Principality of Luxemburg who were of German descent. The badge is not often encountered nowadays. 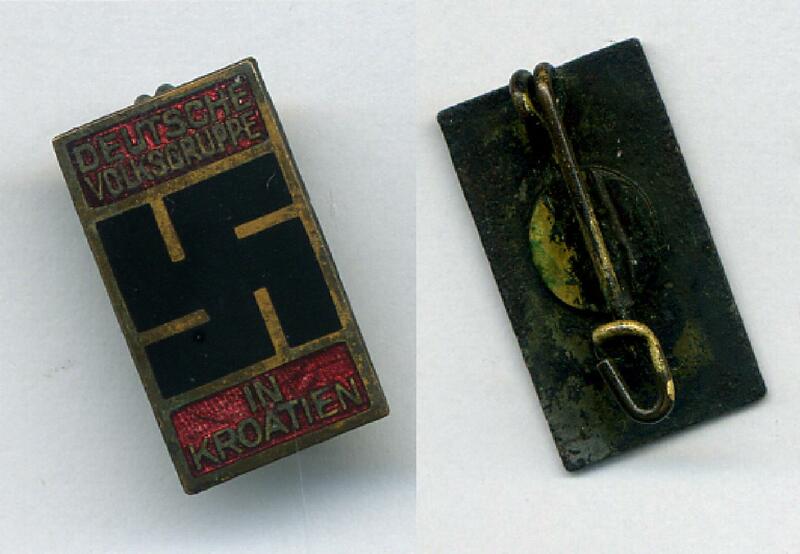 (M162) A German Membership Badge of the Stryian Heimatbund. The badge is of nice quality and construction being moulded in nice plastic with good green paint finish etc. 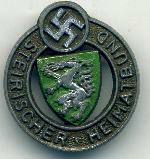 An example of this badge can be found in the book "Foreign Legions of the Third Reich" Volume 4 by David Littlejohn.